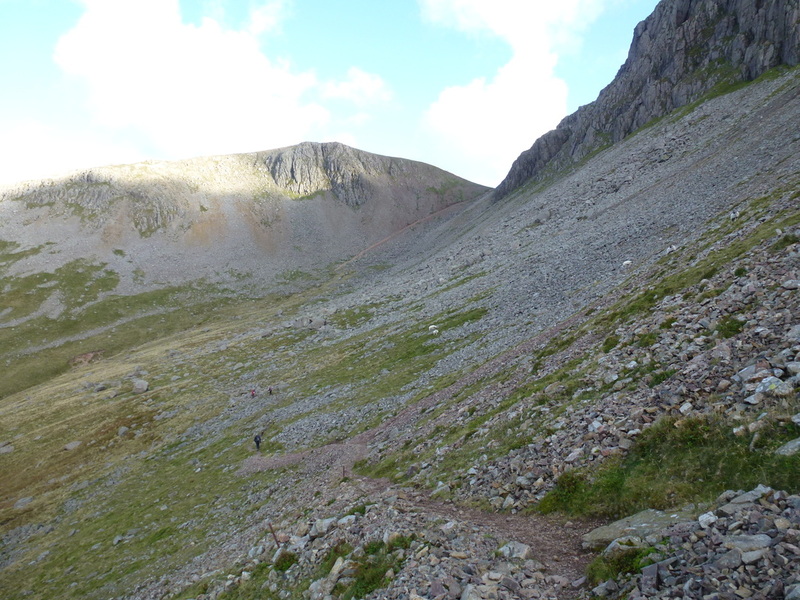 Good mountain paths for most of the walk. 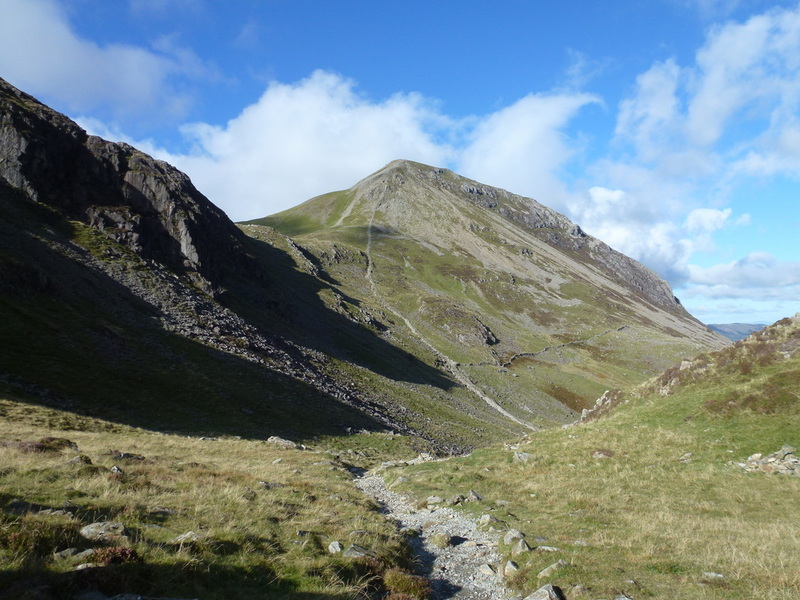 There are 2 steep descents - descending Rib End to Beck Head from Kirk Fell and the drop on to the Warnscale Bottom path from near Little Round How. 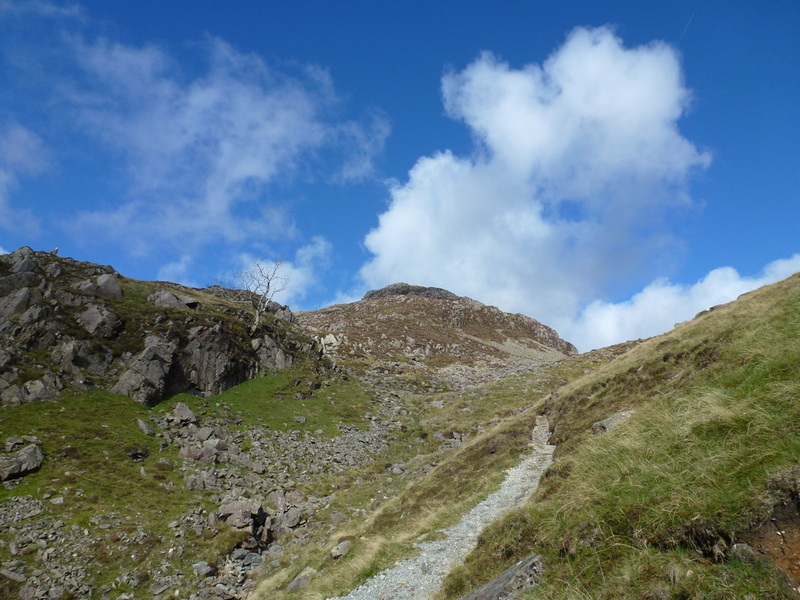 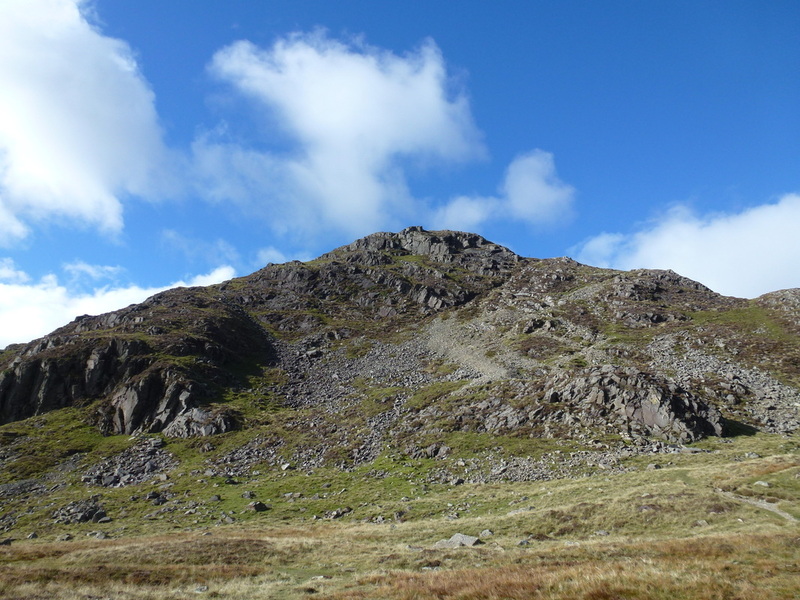 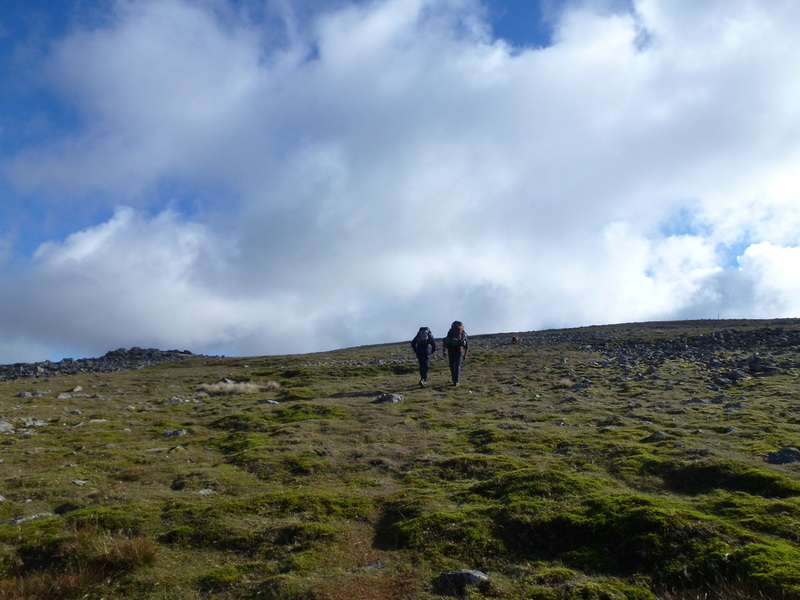 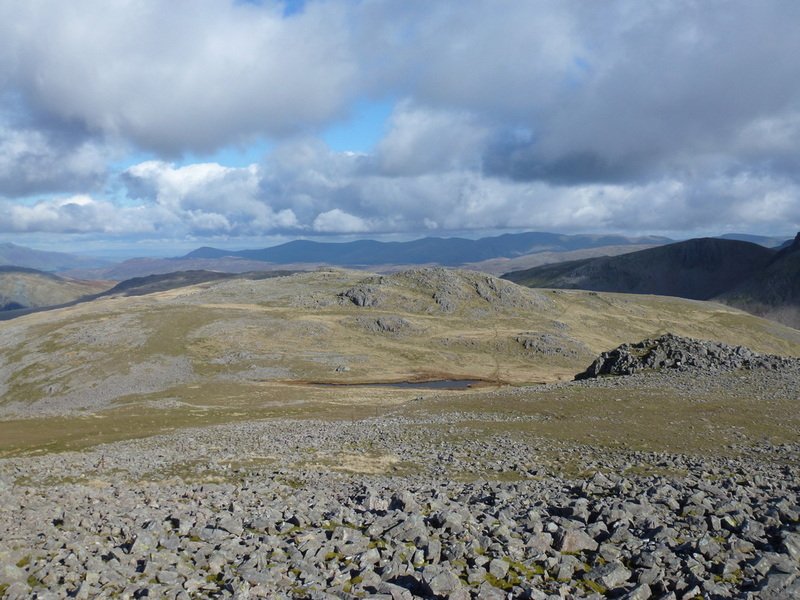 The ascent of Kirk Fell from the Black Sail Pass is an easy scramble. 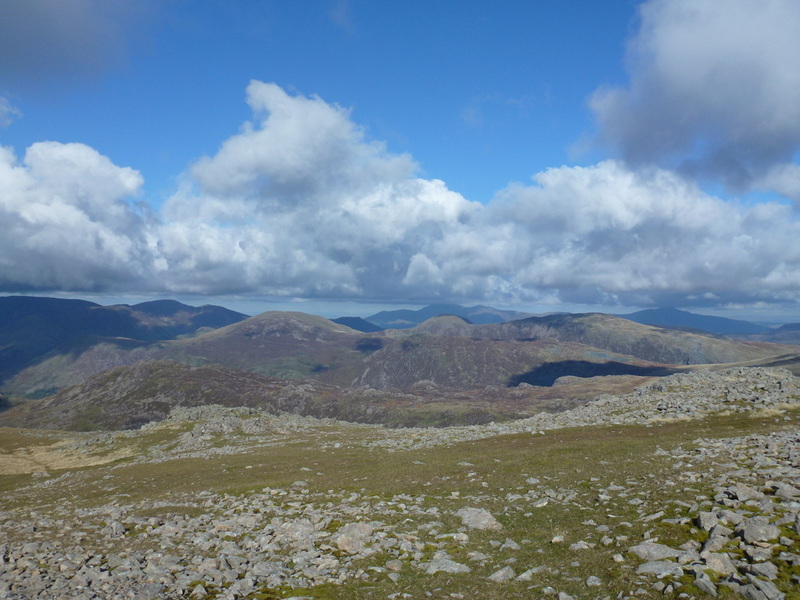 Warm & sunny with fresh breezes on the summit. 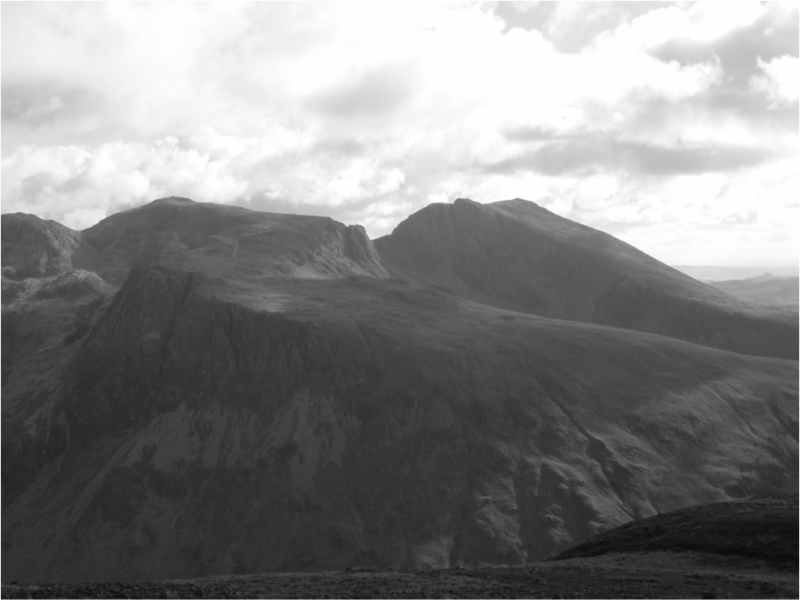 Very good visibility. 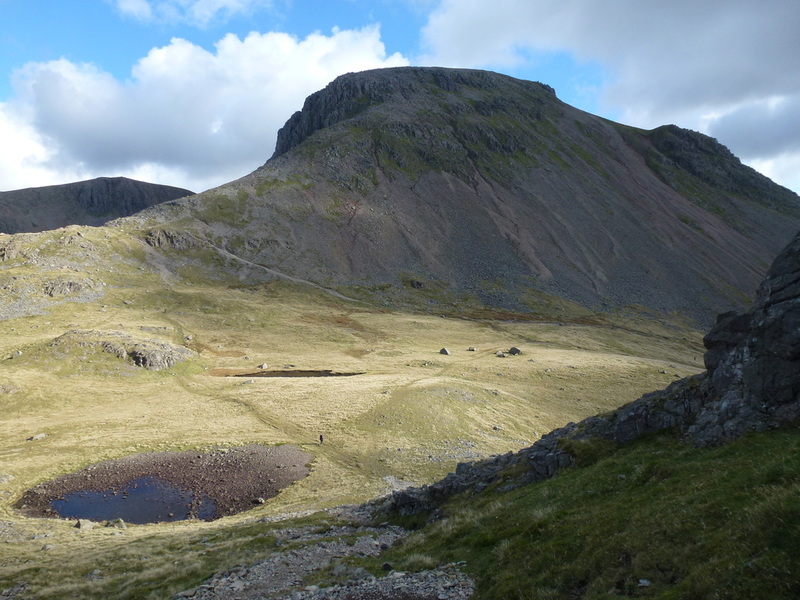 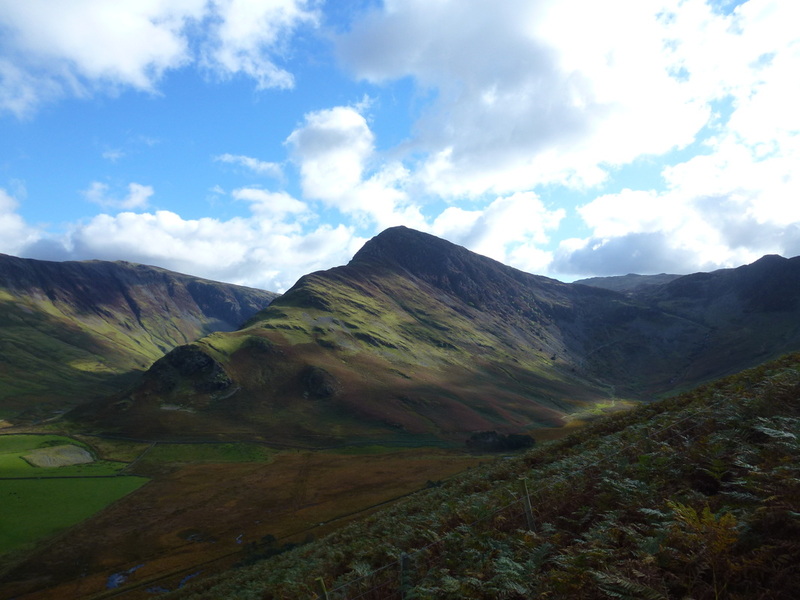 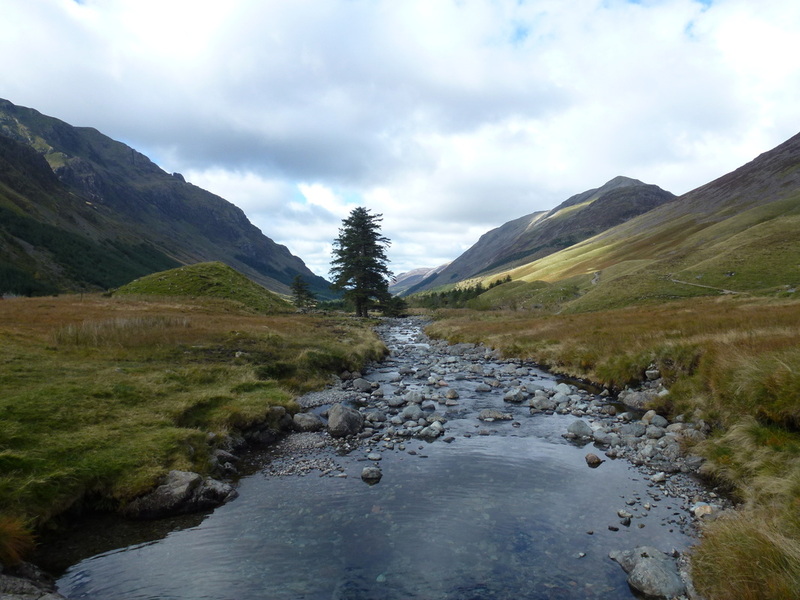 ​We have visited Kirk Fell before (link) from Wasdale and fancied a different way up today. 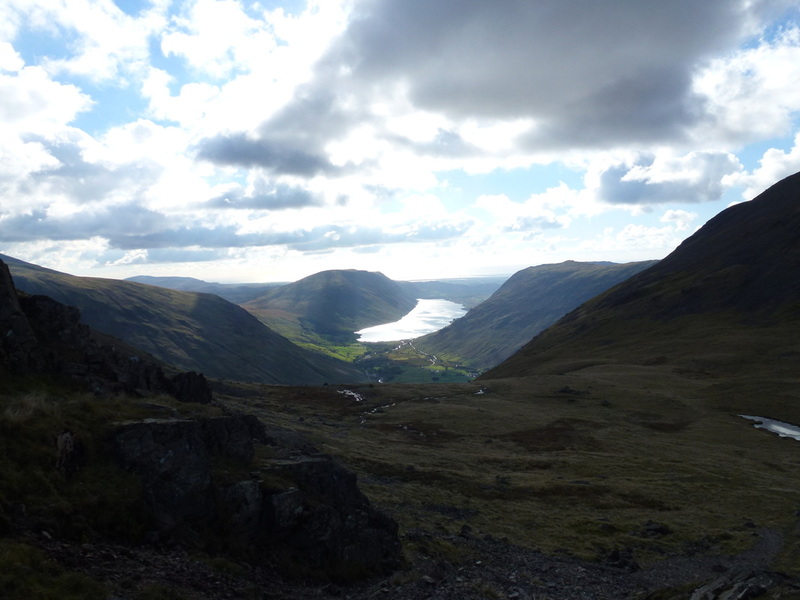 Having had a good look at the maps (any excuse) we decided on making the approach from the bottom of the Honister Pass at Gatesgarth. 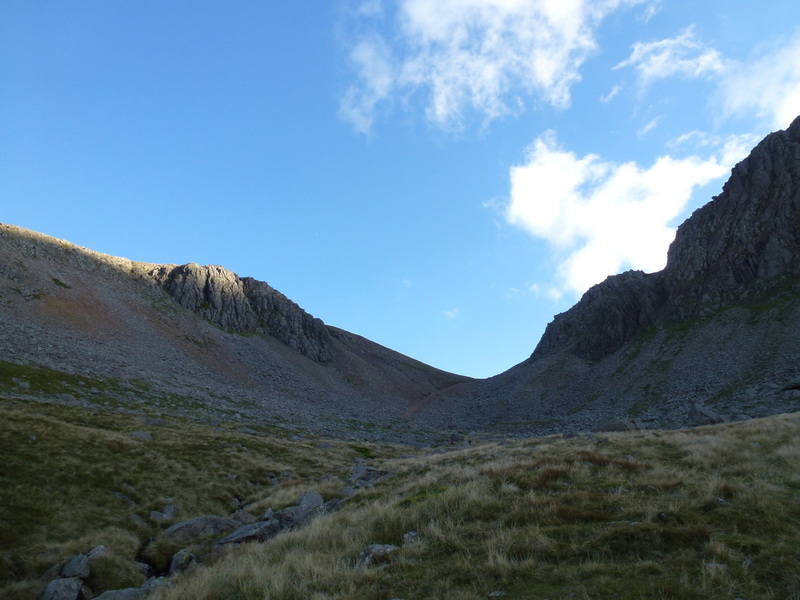 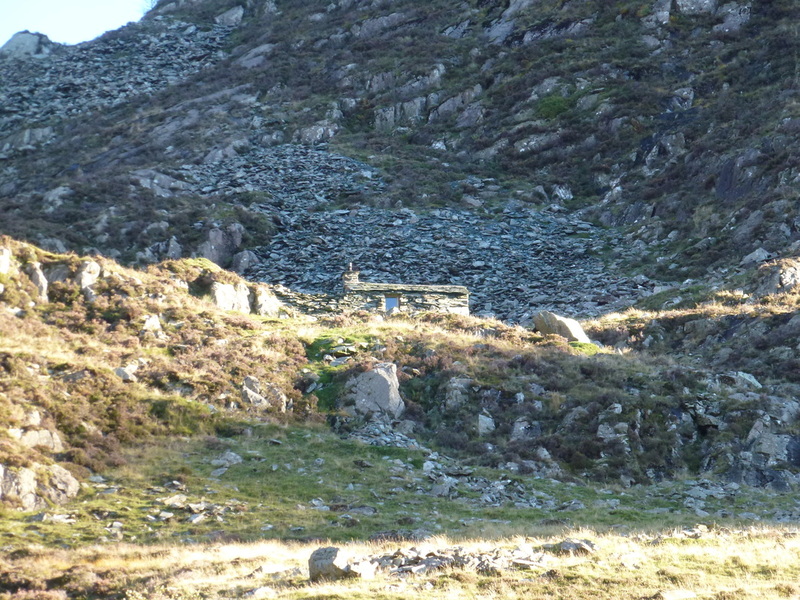 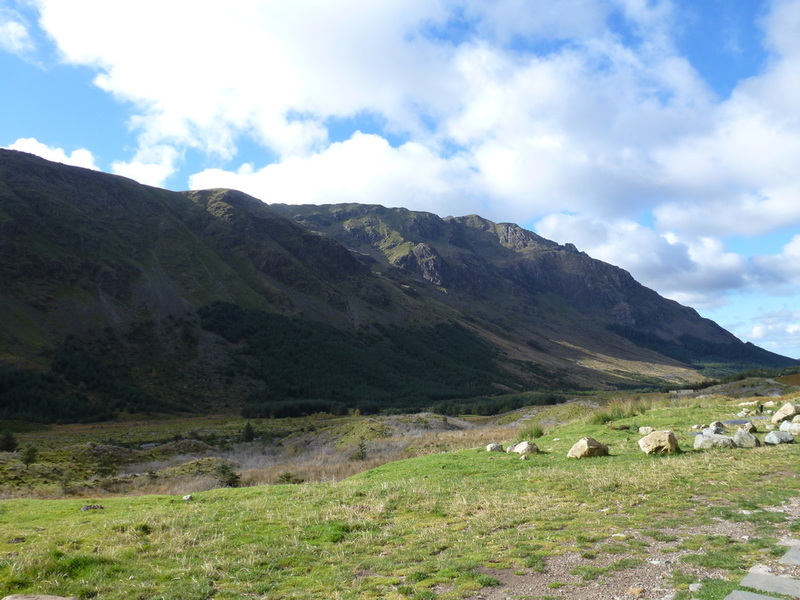 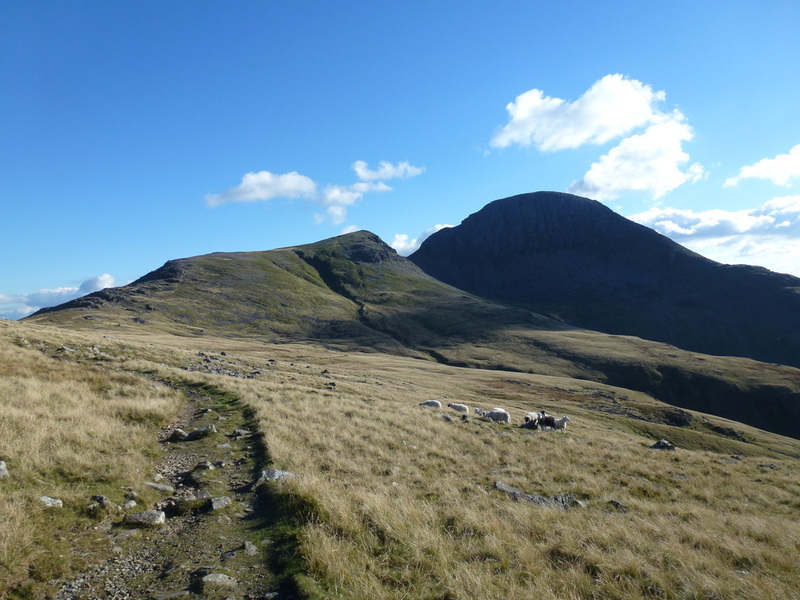 The walk would take in Scarth Gap, Ennerdale, Black Sail Hut, Black Sail Pass and a delightful scramble up to the summit. 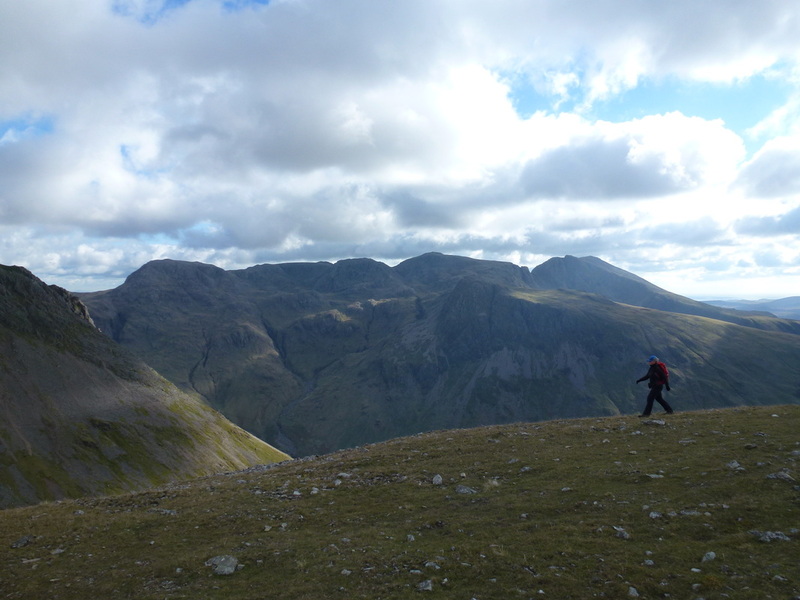 The return promised to be good too - coming back via Rib End, Beck Head and Moses Trod. 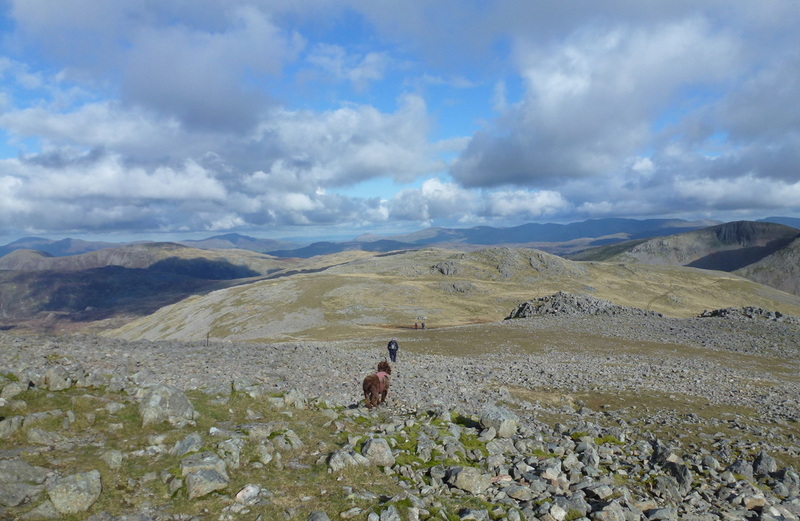 All in all it promised to be a great day out. 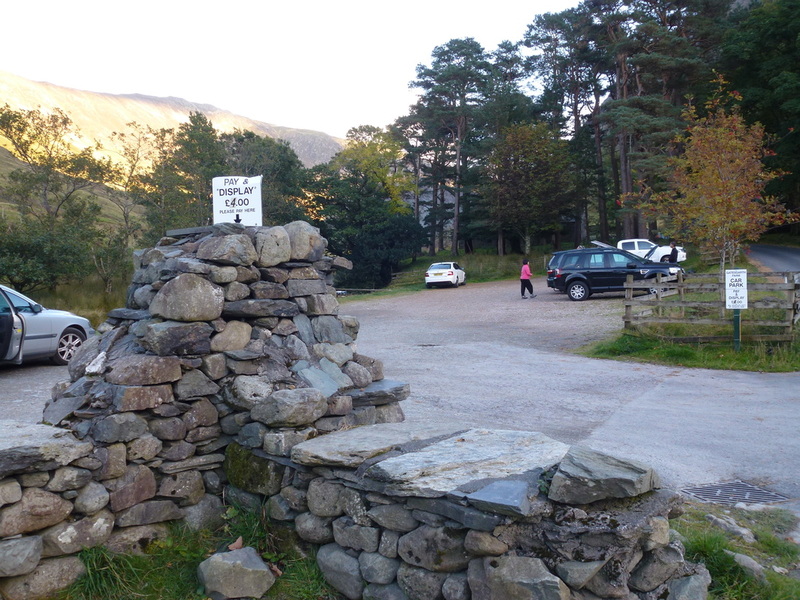 There is a charge for parking at Gatesgarth - either that or park a bit further up towards Honister on the verge. 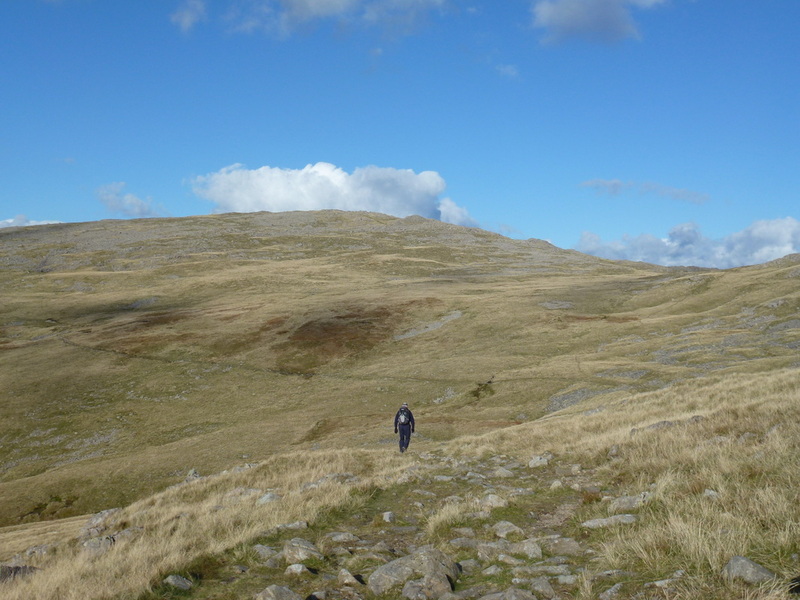 Leaving Gatesgarth we made our way to Peggy's Bridge and up on to the path to Scarth Gap - having walked this path many times it is a lovely walk. 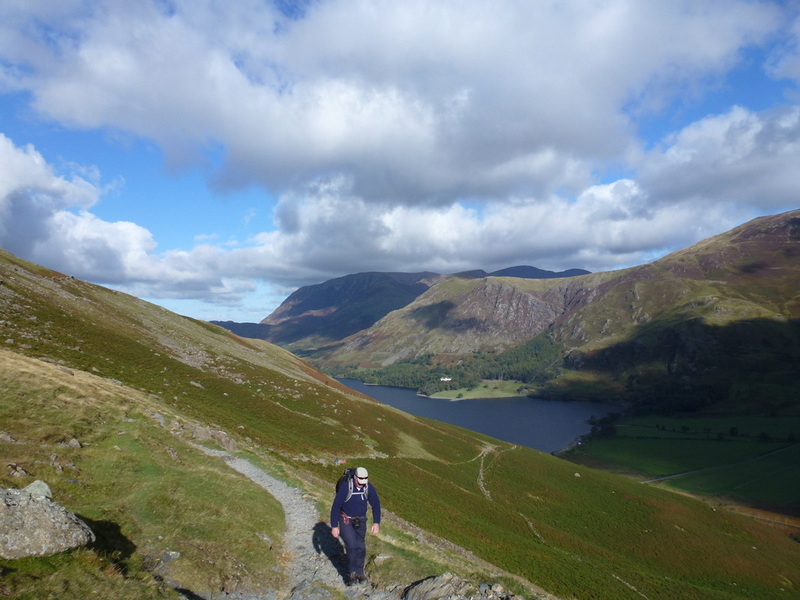 The view to the rear of Buttermere opens up the higher you get. 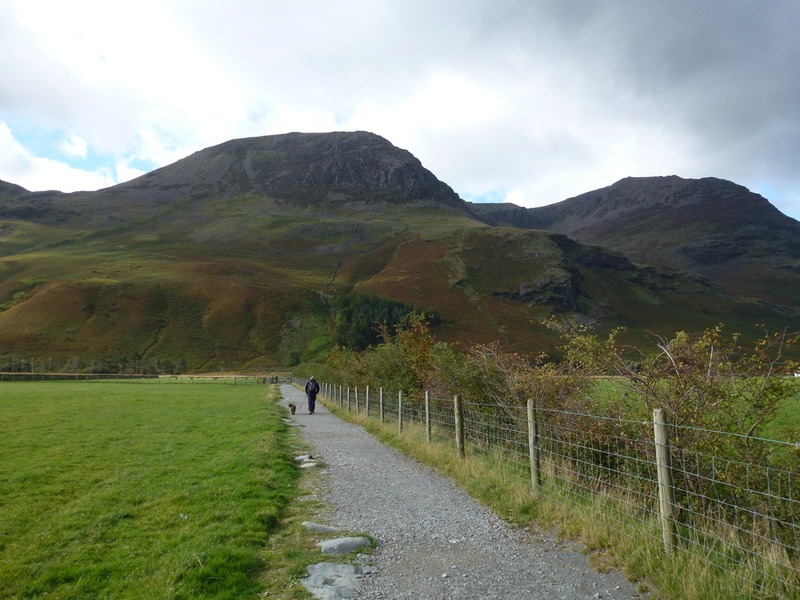 The path steepens as the Gap is approached and arriving at the junction there are options to climb up left to Hay Stacks or right to Seat. 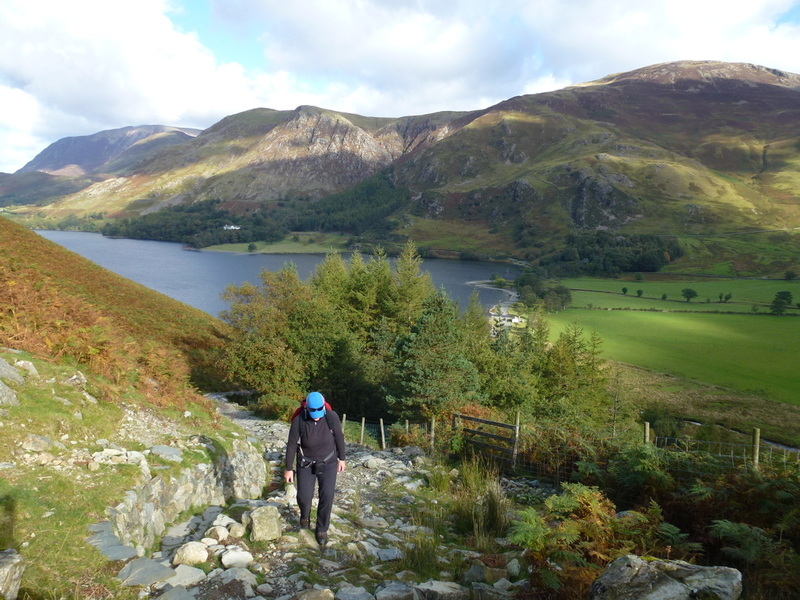 Heading straight over the top of the col we dropped down into Ennerdale where there was a great view over to Pillar and down the Ennerdale valley towards Great Gable. 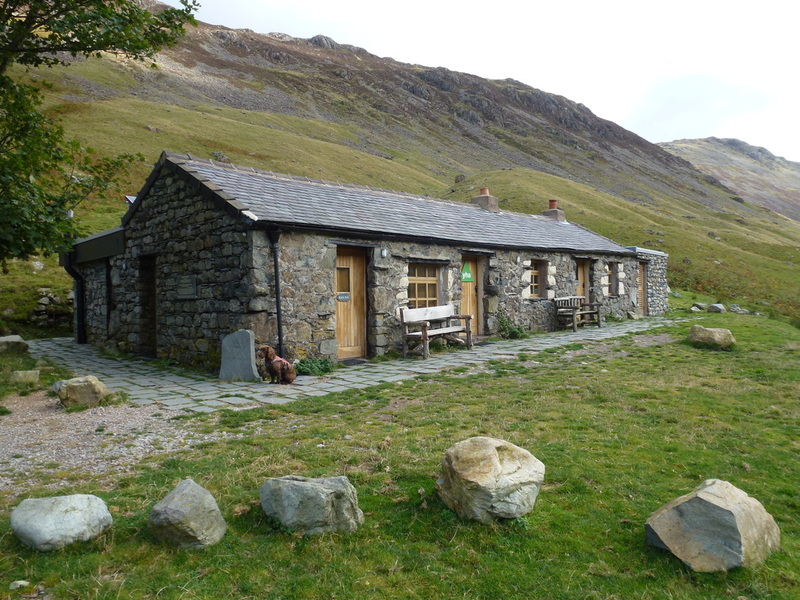 Reaching Black Sail Hut all was quiet therefore we enjoyed a peaceful lunch - not even the Warden was about. 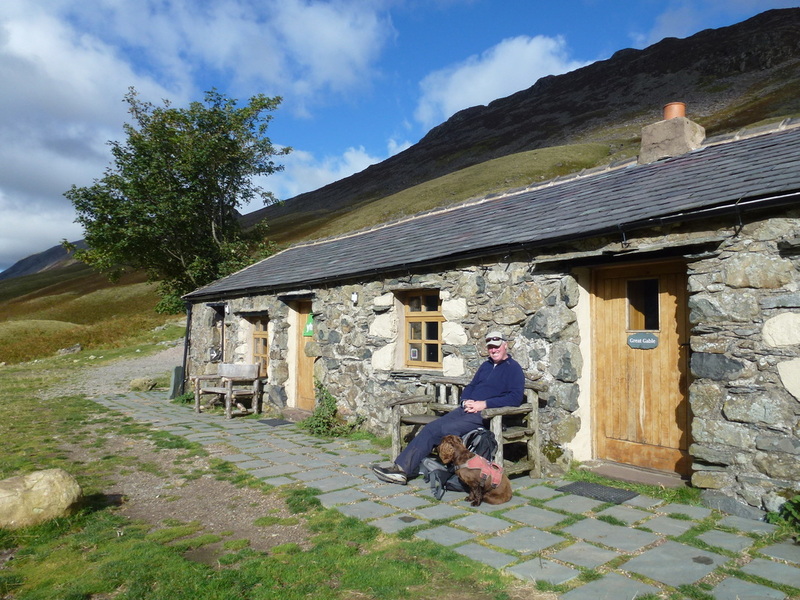 For anyone who has not visited Black Sail Hut, it is owned and run by the YHA and is in the most idyllic spot - we have never stayed there but would love to in the future. 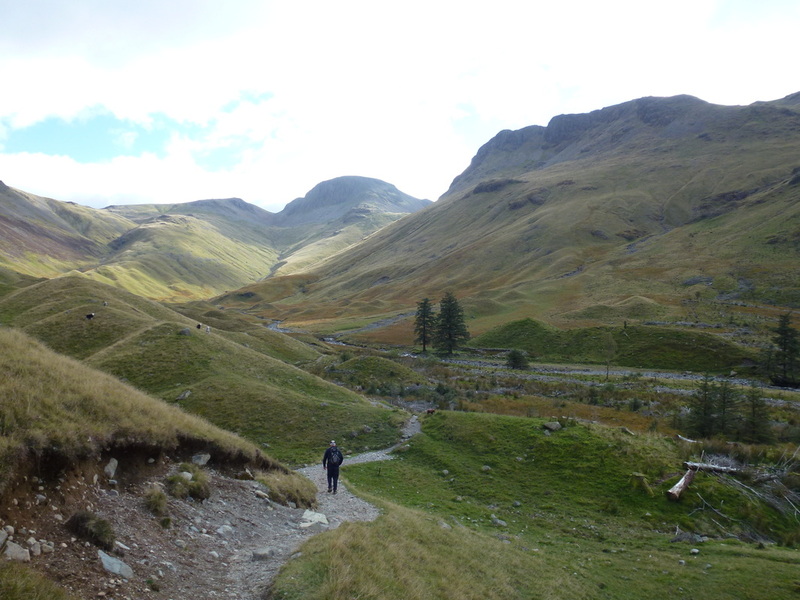 Leaving the Hut, we then headed for the footbridge over the River Liza before starting the long, steep climb up the Black Sail Pass. 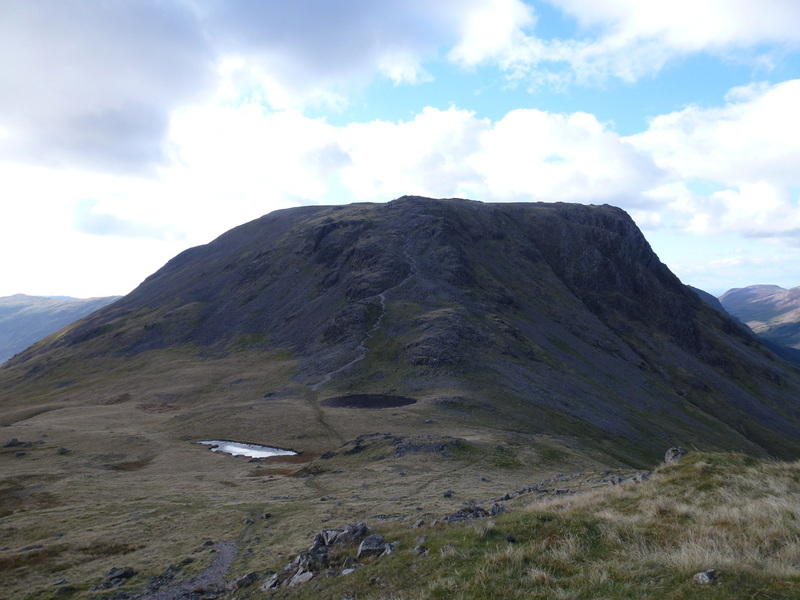 There was a good path all the way up and the large cairn at the top of the pass was soon reached and from here the views down to Wasdale open out. 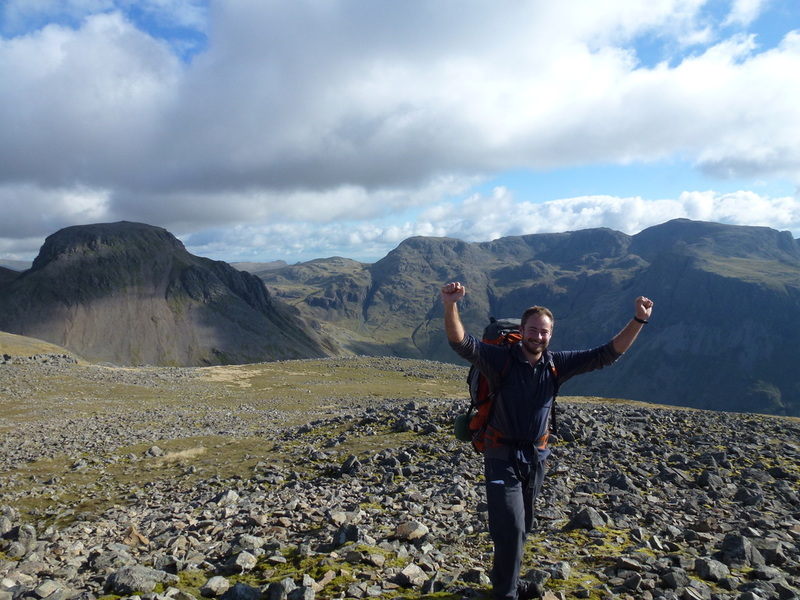 At the top of the pass we got chatting to Callum, a Freelance Outdoor Instructor (what a job) who was wild camping each night and making his route up as he went along - he was heading for Buttermere via Kirk Fell & Great Gable and he joined us for the delightful scramble up Kirk Fell's North Face. 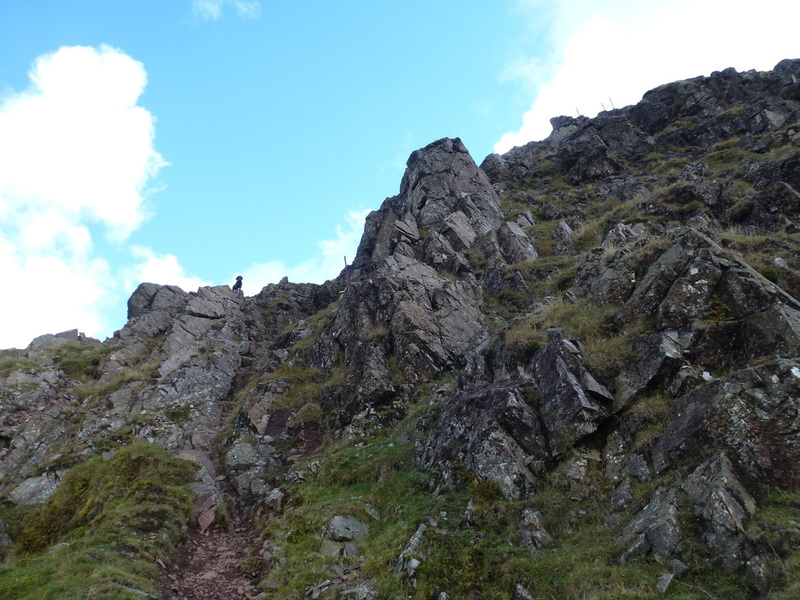 The route up was steep but soon relented into a nice incline to the stony summit of the fell. 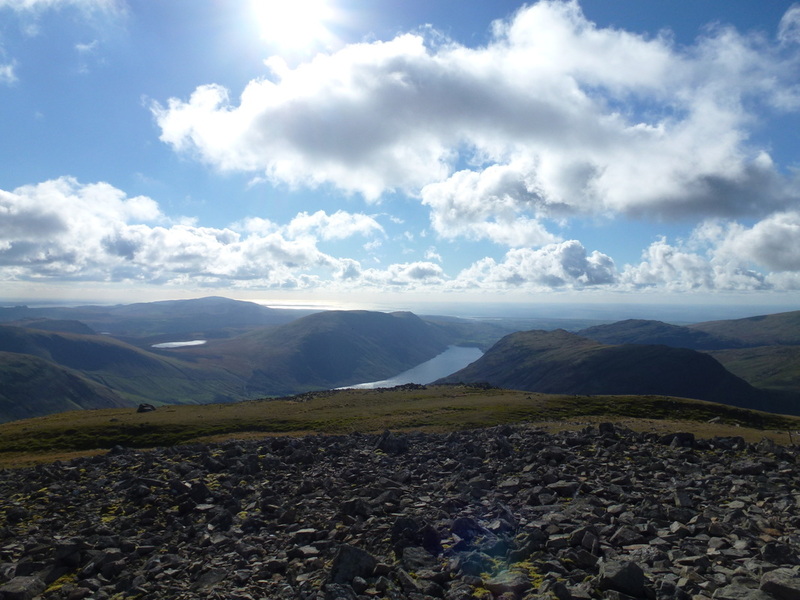 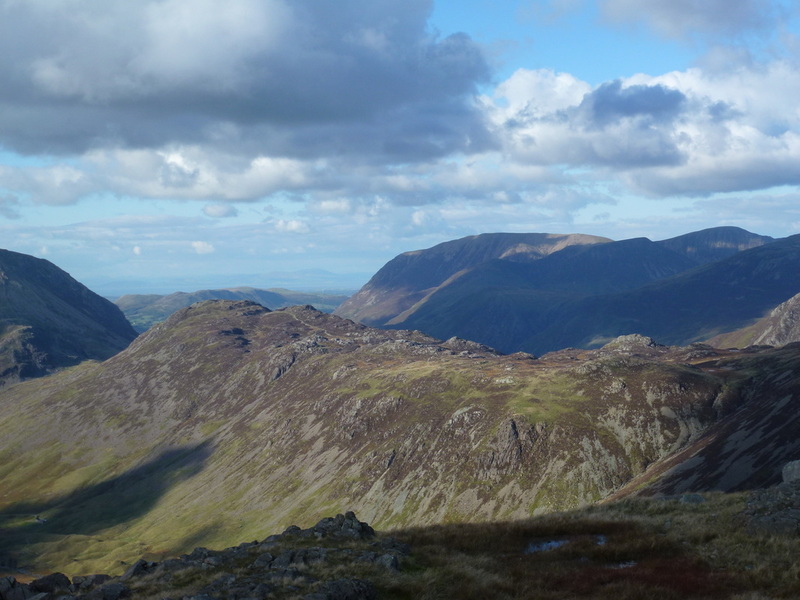 The views, particularly to Great Gable and The Scafell range are amazing and saying goodbye to Callum, we hung around here for quite a while just to take in the superb vistas over Lakeland. 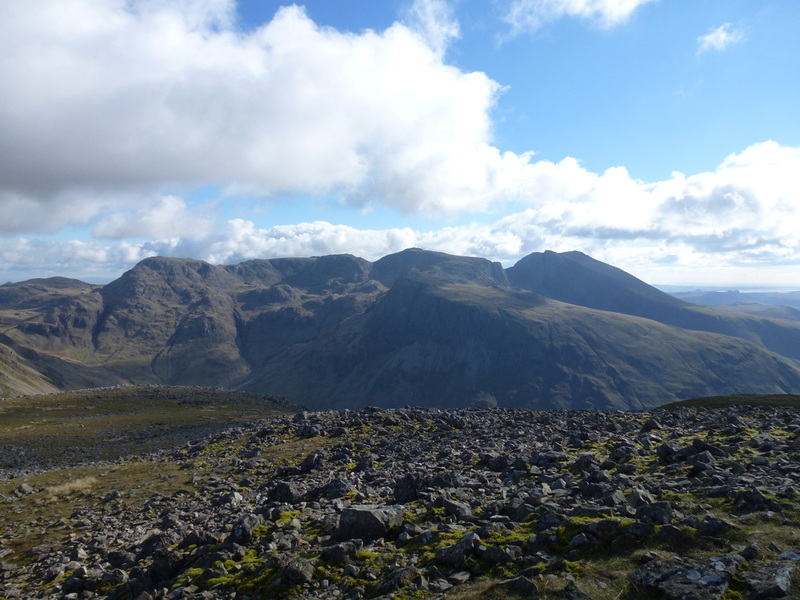 Leaving the summit, we then headed to Rib End via the East Top of Kirk Fell where the view of Great Gable got even better. 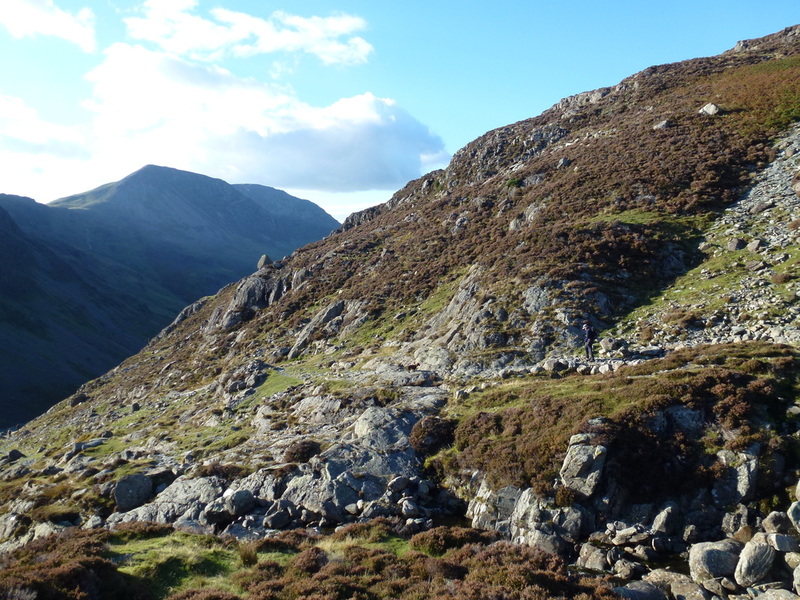 The descent of Rib End to Beck Head contains a bit of scree and is steep but not overly difficult providing you take your time. 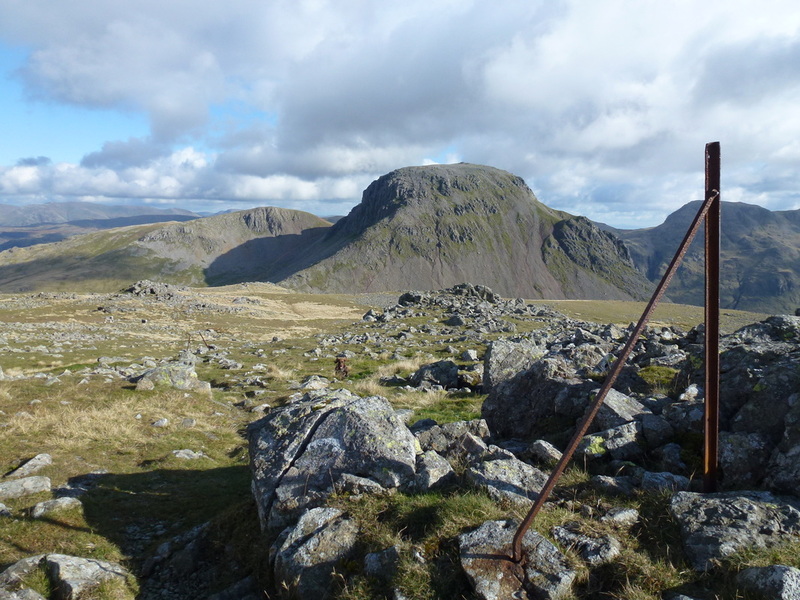 From Beck Head there was a short, sharp pull up to join the Moses Trod path and tempted as we were to climb Great Gable for the second time in a week, we headed off left to head across the lower slopes instead. 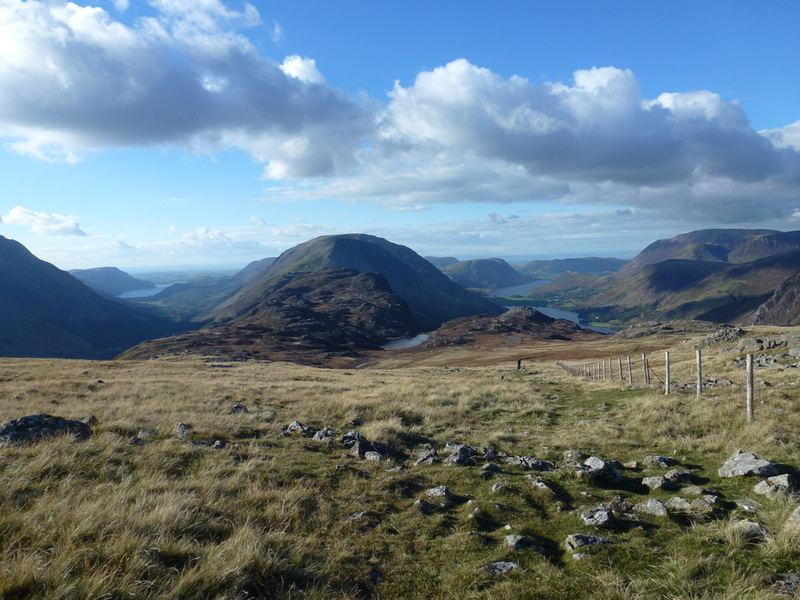 The Moses Trod path cut across the slopes of Brandreth before rising to give us a lovely view down over Ennerdale, Hay Stacks and the Buttermere valley. 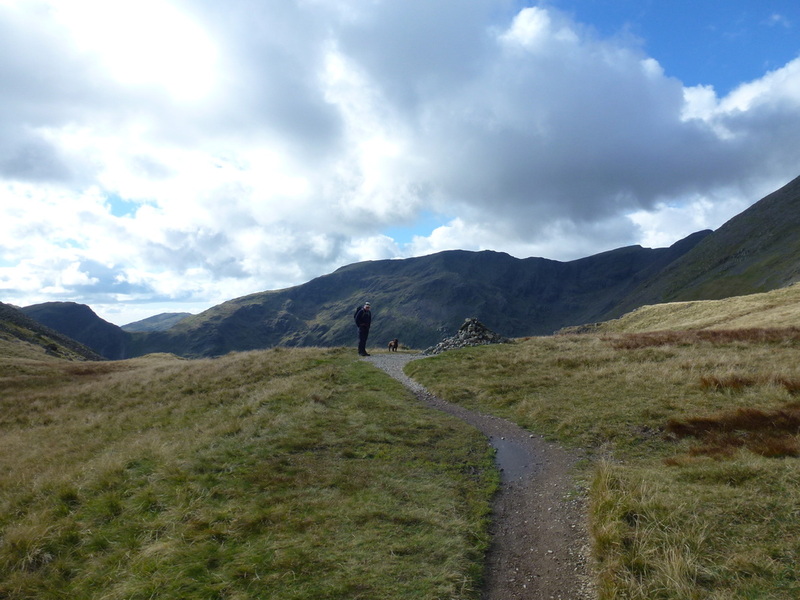 Just after passing Great Round How the path steepened markedly before crossing the beck to join the Warnscale Bottom path coming over from Honister. 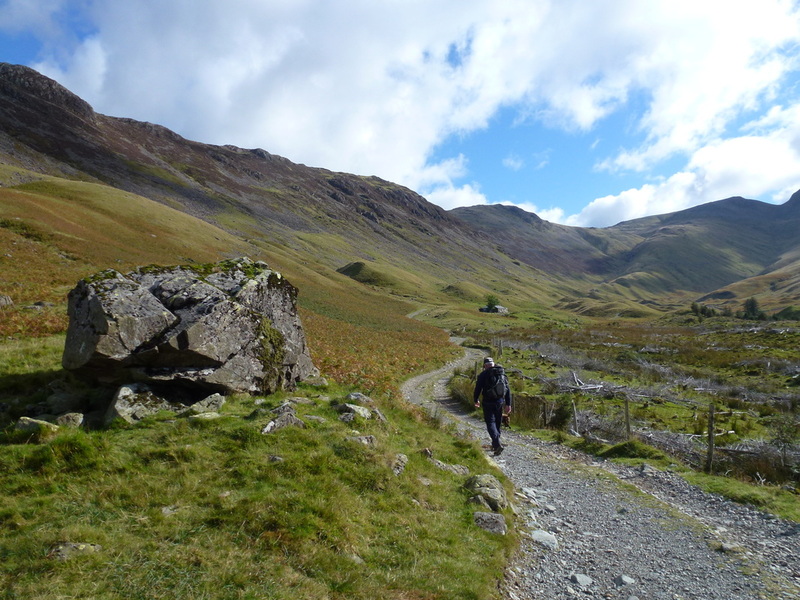 There now began a long and sometimes steep descent back to the valley floor to finally reach the end of the walk at Gatesgarth. 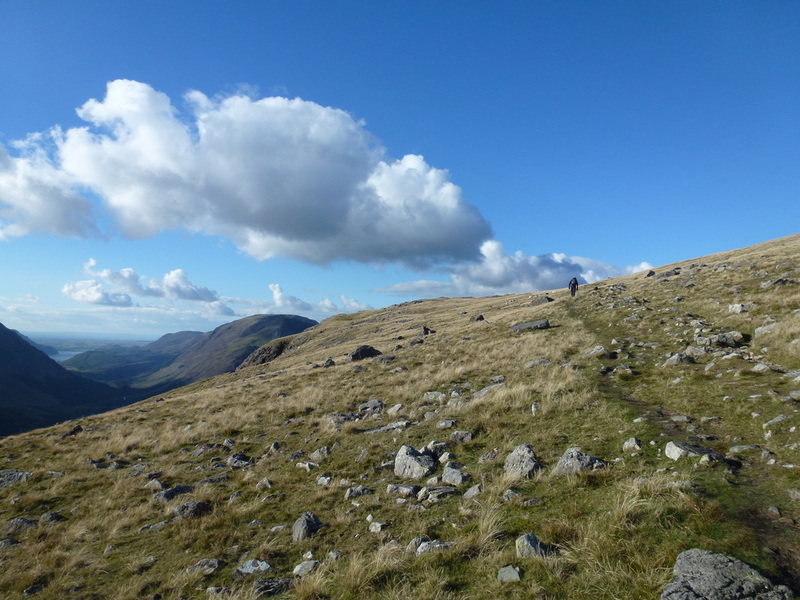 This was an exhilarating walk to Kirk Fell by a route we just made up ourselves from getting the maps out and planning a route. 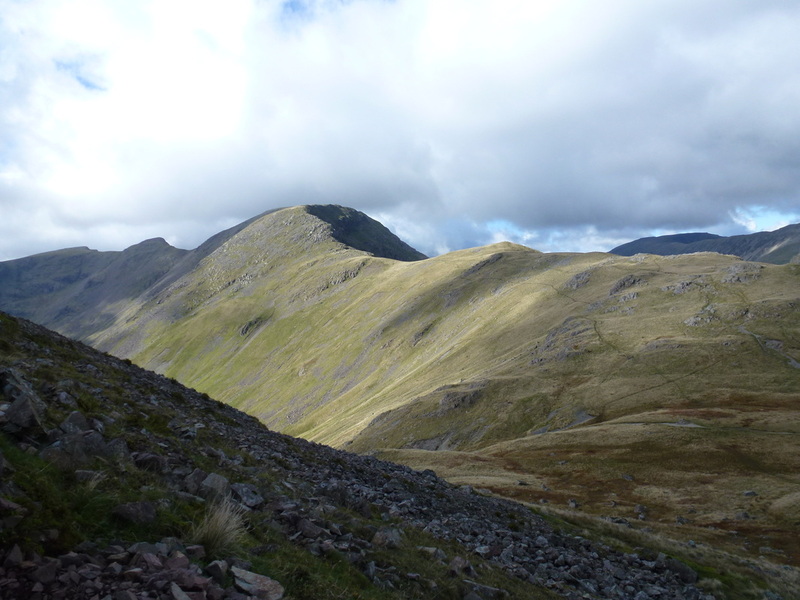 The top of the Black Sail Pass - left for Kirk Fell, right for Pillar and straight on for Wasdale. 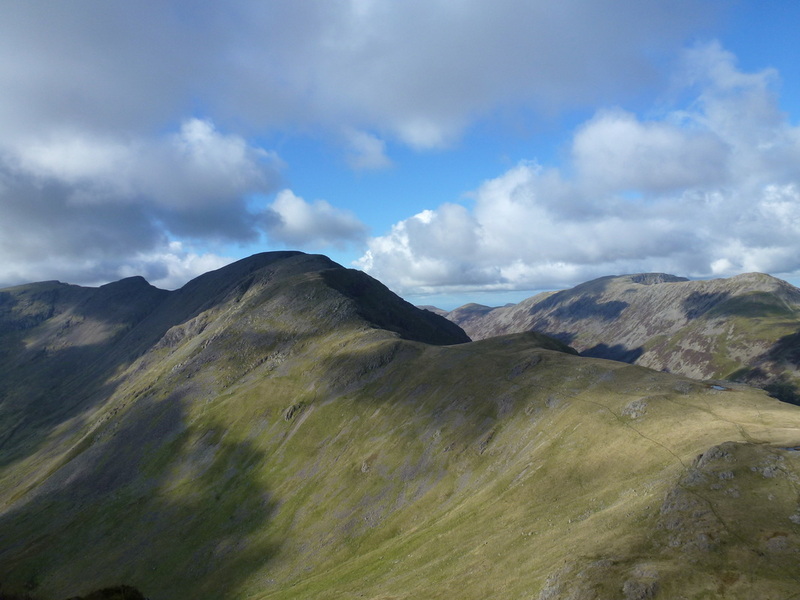 The scramble up Kirk Fell from the Black Sail Pass - someone is mocking our progress! 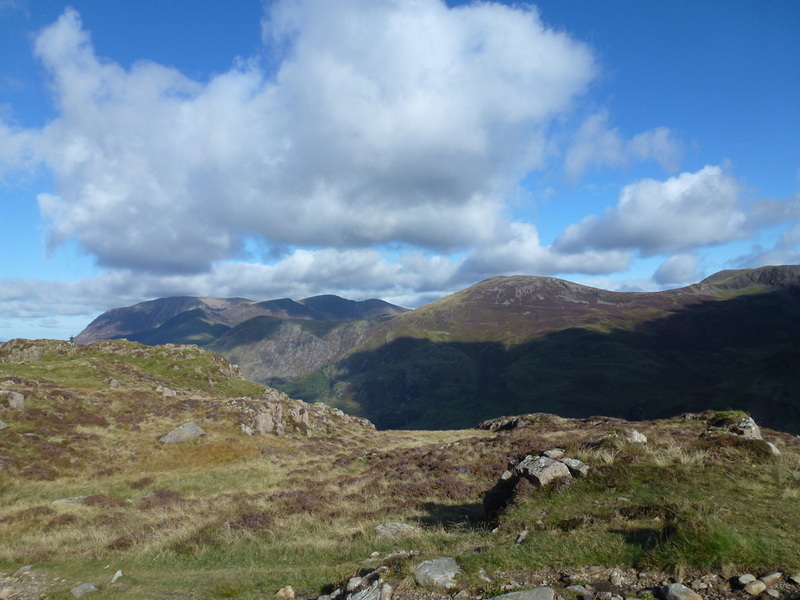 Always remember to look around when out walking - you would not want to miss this sort of view. 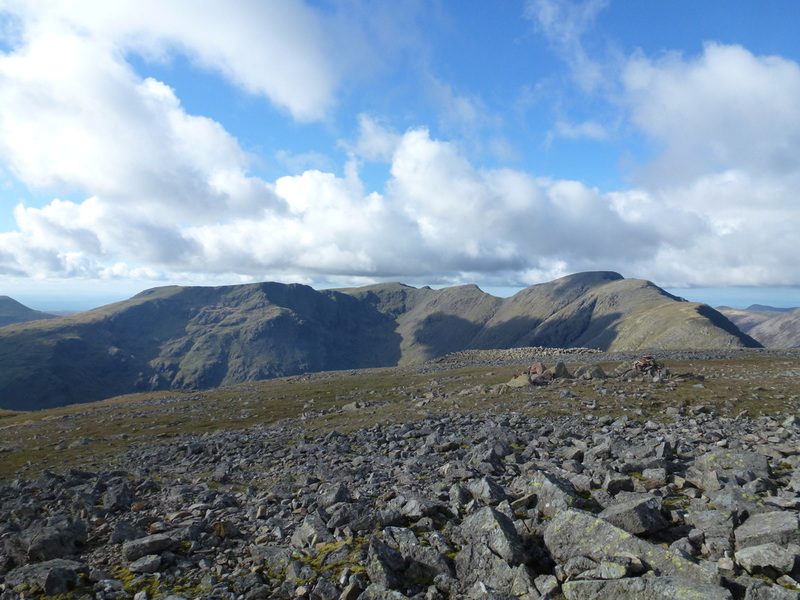 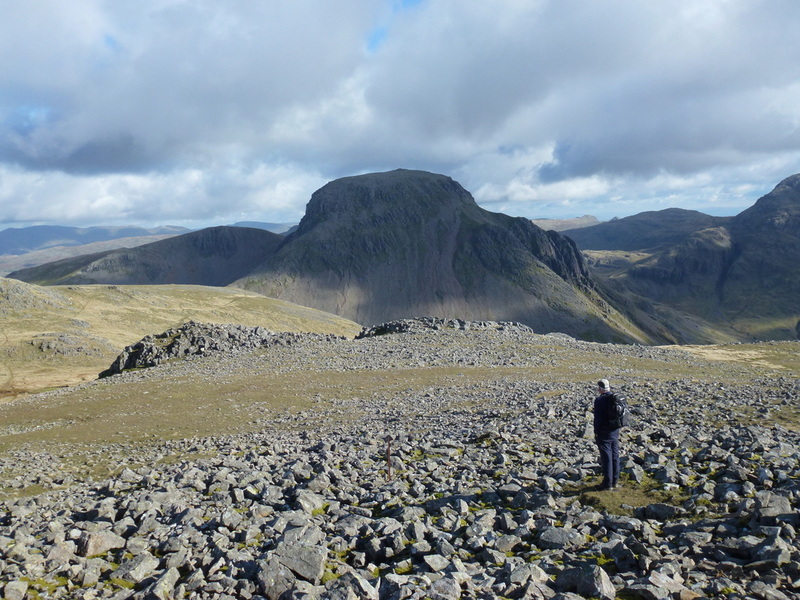 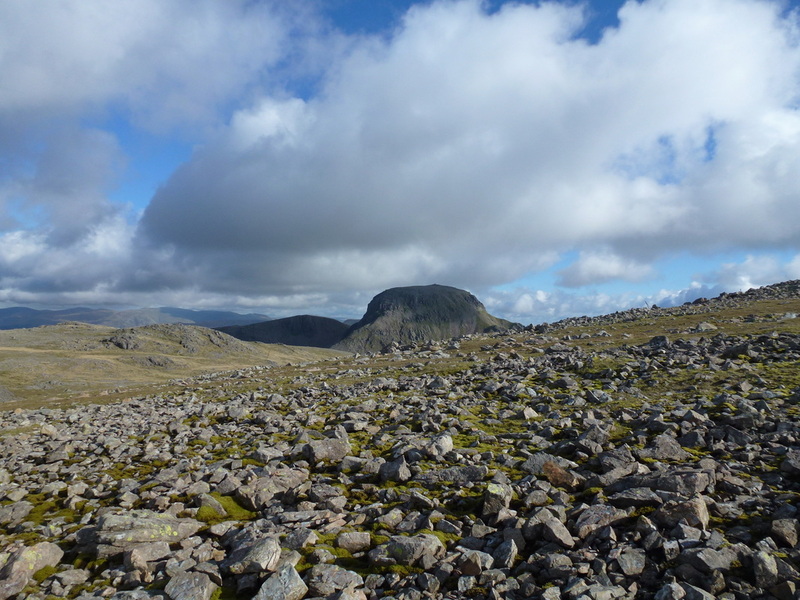 Approaching the summit, the upturned pudding shape of Great Gable comes into view. 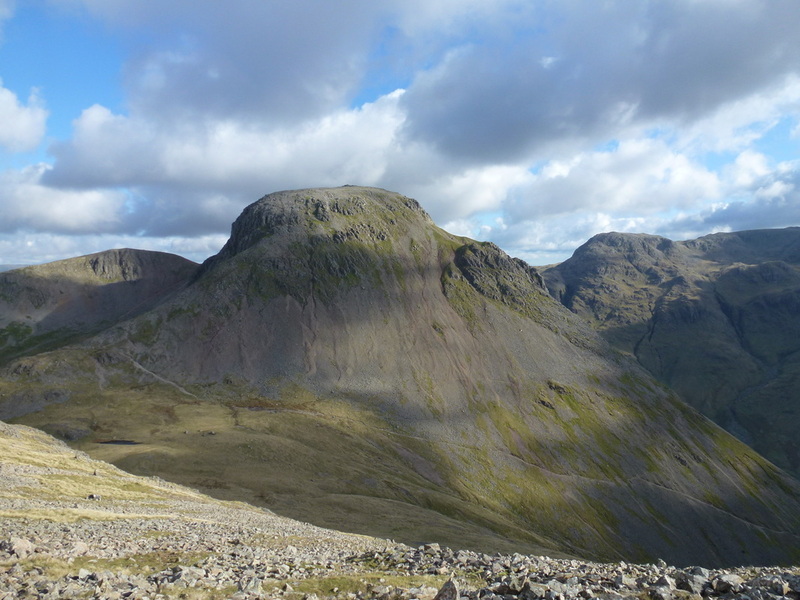 The Gable brothers from Kirk Fell's East Top - spot the Cocker! 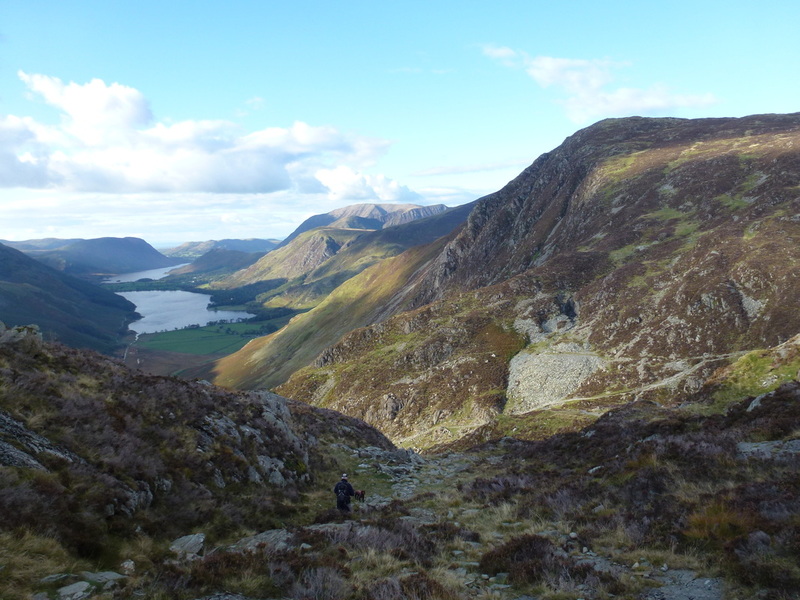 Heading down to Great Round How with Haystacks ahead and the High Stile ridge behind.